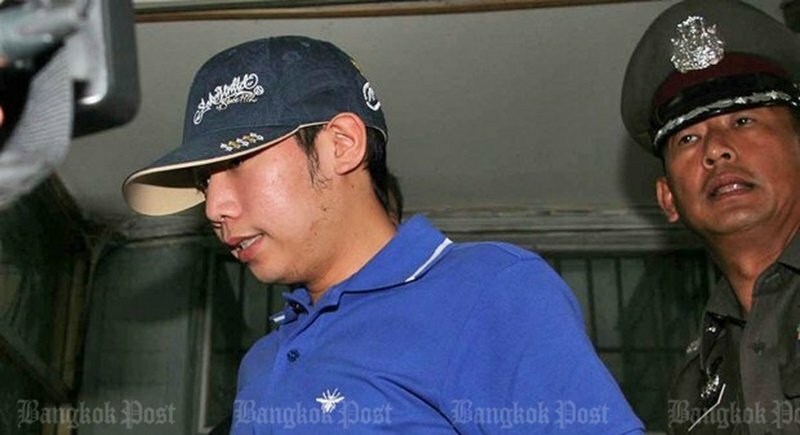 BANGKOK: Police expect to get translated documents to seek the extradition of fugitive Vorayuth Yoovidhya this Friday (July 21) in the much-delayed proceedings against the Red Bull scion in the fatal hit-and-run case that killed a police officer five years ago, a police source says. The strategy was revealed yesterday (July 18) as the statute of limitations for Vorayuth’s failure to help the victim of the crash comes close to expiring, but prosecutors have not received the documents to kick-start the process to retrieve him. As the incident happened on Sept 3, 2012, the charge will be dropped if Vorayuth, currently living abroad, is not prosecuted before Sept 3 this year. The one-year statute of limitations of two other charges – speeding and reckless driving, and causing damage to property – expired in September 2013. Vorayuth claimed illness made him unable to meet prosecutors, causing previous delays. The case is proceeding slowly as police need time to translate the documents, city police chief Sanit Mahathavorn said yesterday. It is not clear where police intend to send the documents in the first instance. “If officers face inconvenience, I will speed up the process myself,” he told reporters, promising the job will be done in one or two days. According to the police source, who asked not to be named, Thong Lor Police Station has hired a company to translate 34 pages of documents and expects the work to be ready this Friday. The accident took place in Thong Lor. Mr Vorayuth ran his B32-million Ferrari into the rear of a motorcycle ridden by Thong Lor traffic police officer Wichian Klanprasert. The Red Bull scion is facing two charges – the other is reckless driving causing death, for which the statute of limitations ends on Sept 3, 2027. Keep the reports coming please Phuket News. The only hope of justice ever being served here is for the media to keep bringing it up. The police are clearly waiting for people to forget about it so they can make the whole thing quietly go away. Lets prove that Thailand can be better than that. I wonder what odds I would get on the statute of limitations expiring before he is charged?